Like its English counterpart, the ''French web'' will be updated on a regular basis with news, stories and press clippings. Until today, the ITER website only spoke the language of Shakespeare, which is the official language of the ITER Organization. Starting today, it will also speak la langue de Molière, which is that of our Host country. 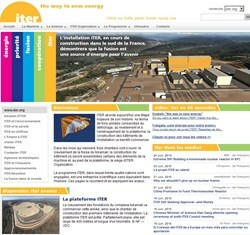 The "French web" is a mirror image of the original ITER website that went online in May 2009. Its dozens of pages, totalling 32,000 words, have all been translated and adapted to the peculiarities of the French language. We hope that in that lengthy and painstaking process, we have omitted no accent—be it grave, aigu or circonflexe. 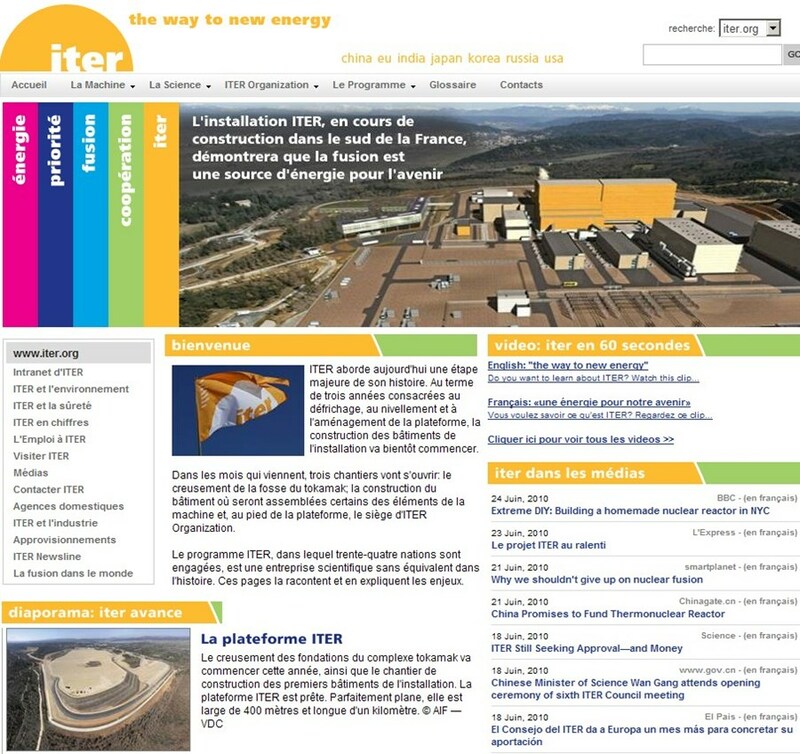 The ITER website in French will provide the world community of francophones (some 200 million people in 70 countries) with a gateway to the ITER Project. Like its English counterpart, the "French web" will be updated on a regular basis with news, stories and press clippings. It will be of particular value to our neighbours in Aix, Manosque and the surrounding towns and villages. Starting with A like aimant, which sounds like the gerund of the verb "to love" but means "magnet"; continuing with B like bobine, which can be used to describe either a funny face or a spool of thread, but is also French for "coil," come and discover our new ITER website in French—notre site web en français.